Data from the World Health Organisation (Figure 1) shows that India has more road fatalities than any other country in the world. Linked to this is India?s growing economy because of which there has been a surge in the demand for new cars. As a result, the number of drivers increases which further increases the probability of accidents. In 2000, 0.5% of Indians had a car. By 2010, the figure rose to approximately 11 in 1,000 owning a car. This article summarises the main findings from India from our recent Global Road Safety for Workers project* which identified that a significant proportion of the incidents in India in Figure 1 involve people driving as a part of their work. Figure 1 presents data on the composition of India?s vehicle fleet much of which can be assumed as occupational. When compared with police-collected road fatality data in Figure 2, it helps to identify the extent of the occupational road safety problems in India. 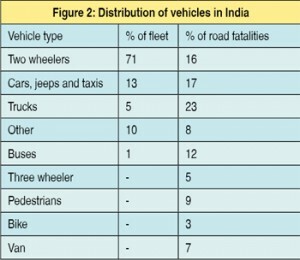 Figure 2 shows that a disproportionate number (42%) of fatal road collisions in India involve commercial transport vehicles. This suggests that work-related road safety could act as a conduit to community road safety in India. 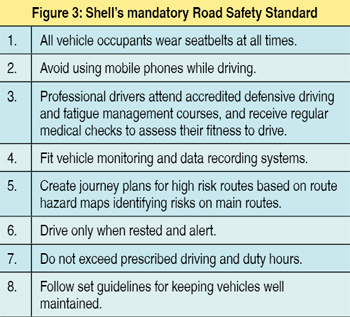 To help tackle this problem, the Global Road Safety Partnership (GRSP) and Shell implemented a detailed initiative to raise the safety standards of truck operations in India, a sector that is typically unregulated and informally structured. Discussion with transport suppliers on why safety is important: Commer cial vehicles are involved in a disproportionate number of road fatalities. In addition, ?better safety standards = better balance sheets?. Starting an initial pilot phase to develop a systems review and process development for contractors. Organising a stakeholder workshop attended by more than 150 people in Bangalore involving representatives from Shell India, GRSP, police, doctors, administrators, trainers, traffic engineers, highway experts, politicians, licensing authorities, regulators & enforcement agencies, government officers, politicians, the All India Motor Transport Congress (AIMTC) and six transport contractors running approximately 1,500 trucks in South India. Participants brainstormed, developed, agreed on and signed a Voluntary 20-element code of conduct for safe fleet management to be piloted in Bangalore and Chennai. Production, delivery and evaluation of the training for owners, managers, drivers and helpers. Engagement with stakeholders and authorities to influence road design, planning and construction; to change the licensing system to prevent unlicensed driving; to improve wage rates; and to mitigate poor working conditions, drug and alcohol abuse and overloading. 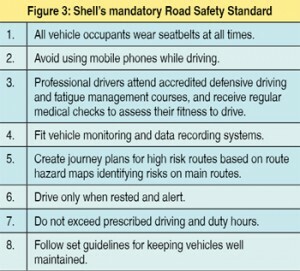 Identification of minimum road safety standards, delivered via a comprehensive, reviewable and sustainable programme, through the code of conduct for the transport sector. On-going performance monitoring of key performance indicators (KPIs) such as fuel use, maintenance costs, downtime and safety. Prepare a policy statement committing to comply with the law and continual improvement signed by top management. Prepare annual safety plan, set safety targets, measure and review performance. Set up reporting, investigation and analysis process. Develop driver selection procedure addressing age, experience, physical fitness, background check and driving skills. Establish structured driver training programme and periodic refresher courses. Ensure wearing of seatbelts, and prohibit driving under the influence of drugs and alcohol. Offer incentives based on quality and safety performance. 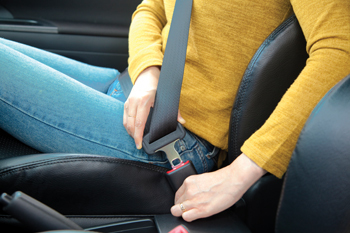 Seatbelts for drivers and passengers. Wide angle mirrors, working electrical signals, side and under run guards and reflector strips and reverse alarms. No re-treaded tyres on front axle and minimum tread depth of two millimetres for all tyres. First aid kits, fire extinguisher and cones & triangles. Next: How Safe are we on Our Roads?